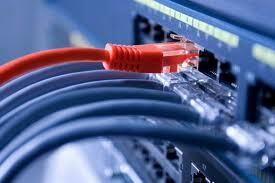 Creative Communication’s range of dedicated broadband solutions is specifically designed with business in mind. Whether you are a remote worker requiring VPN access, to fully managed Office solutions offering Voice and Data in a single converged network Creative Communication can provide the solution you need. Our broadband network is dedicated for business users only and consists of multiple central pipes offering enhanced resilience and redundancy backed up with highly trained technical staff to provide first class support. Broadband solutions encompass DSL, bonded broadband and Fiber to the curb broadband, providing dedicated connectivity with no hidden charges for remote workers, Small and medium sized offices. With our range of leased line and WAN connectivity catering for larger sized enterprises.